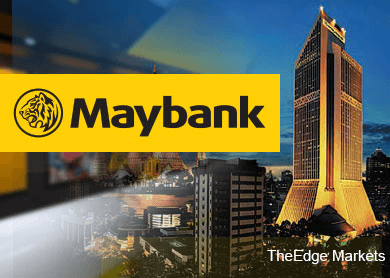 KUALA LUMPUR (Feb 26): Malayan Banking Bhd's (Maybank) fourth quarter net profit increased 12% from a year earlier on higher net interest, Islamic banking and insurance income. In a filing with Bursa Malaysia today, Maybank (fundamental: 1.5; valuation: 1.3) said net profit rose to RM1.93 billion in its fourth quarter ended December 31, 2014 (4QFY14) from RM1.73 billion. Revenue came in higher at RM9.66 billion versus RM8.27 billion. Maybank said net interest and Islamic banking income increased 2.3% as conventional and Islamic financing grew. Net insurance premiums from its conventional and Islamic insurance subsidiaries increased to RM1.02 billion, according to the group. Maybank said group overhead expenses increased 10.2%. “The increase was due mainly to higher personnel expenses of RM143.1 million, higher administration and general expenses of RM82.2 million and higher establishment costs of RM47.7 million. "The increase was mitigated by a decrease in marketing expenses of RM34.3 million,” Maybank said. For the full year, Maybank posted a higher net profit of RM6.72 billion from RM6.55 billion a year earlier. Revenue rose to RM35.71 billion from RM33.25 billion. Maybank plans to reward shareholders with a dividend of 33 sen a share for 4QFY14, bringing full-year dividends to 57 sen.
At 12:30pm, Maybank shares were traded six sen or 0.7% higher at RM9.08 for a market capitalisation of RM84.62 billion. The stock had declined 1% this year, underperforming the FBM KLCI's 3% rise.